Hotel is clean, foods are good. Staffs are super helpful and friendly. As soon as they see us walk by, they ran over to open the door, call taxi, and carry stuffs for us. This is the most helpful staffs we ever see when we travel to VN for the last 26 times! 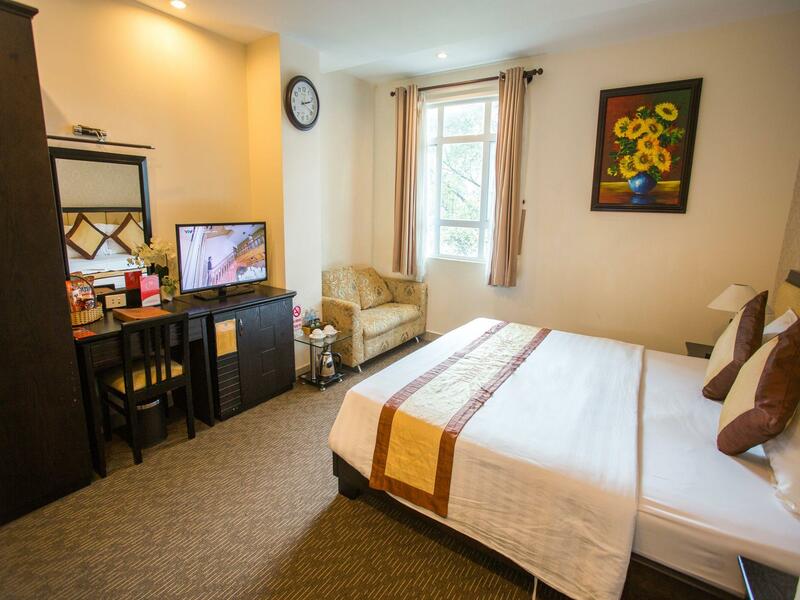 We picked the Hoang Ngan Hotel as we always do when we travel HCM. Our room was on the 6th floor overlooking the street yet it was sound-proofed so that it was peaceful. There was a good amount of space and the staff were helpful and kind. Best of all, the bathroom had a jacuzzi tub. 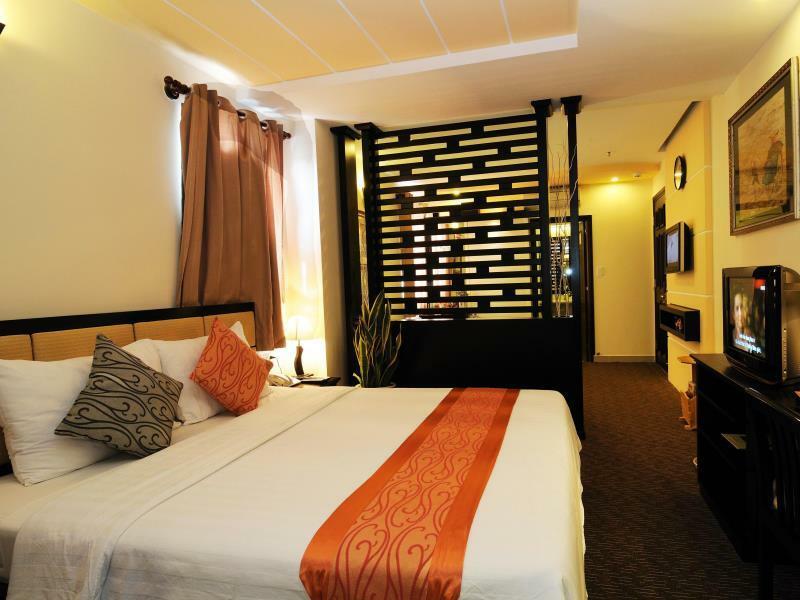 We would definitely recommend this hotel as it was well priced and good located place to stay. We stayed here for 18 nights over xmas/new year what a relaxing and pleasant stay.the staff are beautiful the food was great the rooms were excellent and it was within walking distance to all tourist attractions within district 1.I can not say enough on how much we enjoyed our stay here and if or should i say when we visit again we will stay here.i would recommend this place anytime. The hotel is near a bunch of other tall and skinny hotels. My room was on the second floor facing the street so I thought it might be too noisy, but it was actully quite quiet. It is pretty close to most attractions. Make sure you take the right taxi when you go somewhere to avoid being ripped off. Had an issue when settlement of the bill, they didnt want to take credit card but wanted cash. Had a lot of excuses, machine not working, bank holiday. Didnt understand and didnt believe because even Family Mart and Circle K and all restaurants took Credit Card settlement. I think it is a matter of them not wanting to absorb the credit card commission. But didnt want to cause a scene as we were leaving Lucky i had USD to pay the bill. 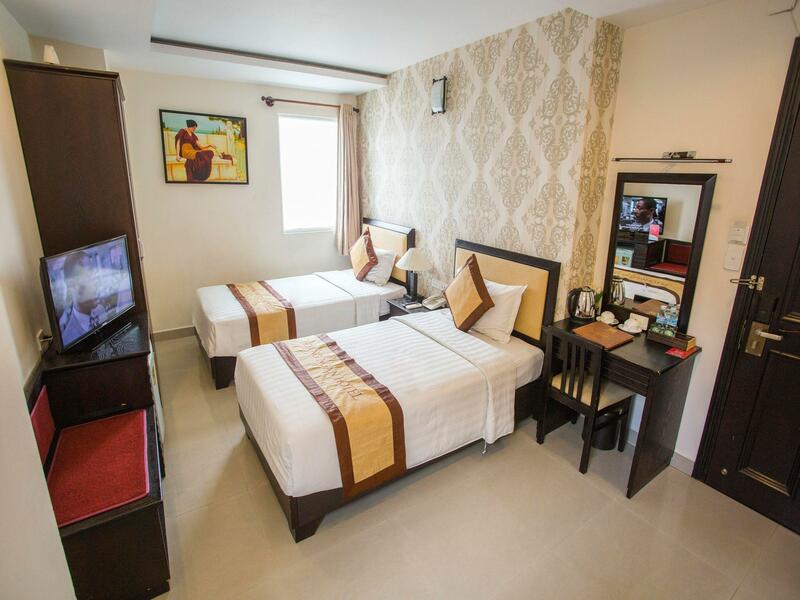 Rooms with no window should be no more than 480,000 VND taxes included. This hotel is similar to one I had stayed in Hanoi. Staff were friendly and the cook would scamble or fry your eggs perfect. The hotel is nice, clean and roomy. The breakfast has a few options. The AC took a while to cool a whole room. Enjoyed the hotel location and easy to get around walking. I had to go to a few places quickly and the porter is happy to take you on motorbike. 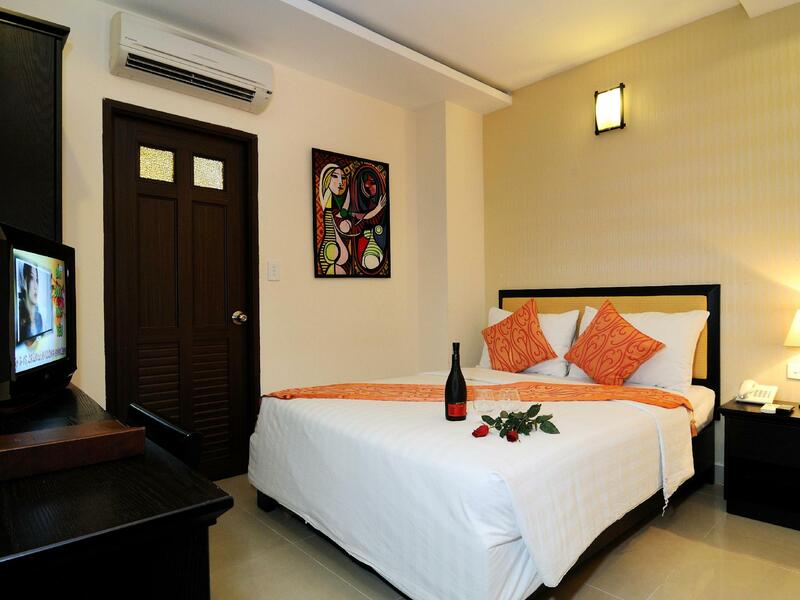 Reception staff speak good English and the room is spacious and clean. Breaksfast is good if your a westerner and want cereal I brought my own and took down in am from the many stores only meters away.. otherwise a great variety. Mind you I am a regular visitor to HCMC so this hotel is pretty good and had no issues.. The room was a little small but everything else was alright. The location is also good as there are several shops close by, grocery store..Family mart. The staffs speak good English and were very helpful. The first room assigned was not what i booked- no windows, no queen size bed. The given reason was due to fully book that day. After complaint, they changed another room with windows but still no queen size bed The AC was not in working condition, not able to adjust the temperature and has water lacking problem. Wifi signal very weak and unstable.